A cooperative agreement between Indiana University and the Uffizi Gallery in Florence, Italy, will result in an unprecedented initiative to digitize in 3-D the museum’s entire collection of 1,250 pieces of irreplaceable Greek and Roman sculpture. 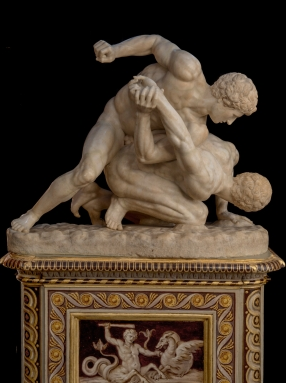 The project between the Uffizi, one of the oldest and most renowned art museums in the world, and IU’s Virtual World Heritage Laboratory will create high-resolution 3-D digital models of the Uffizi sculptures and make them freely available online by IU’s bicentennial in 2020. The Uffizi collection is located at the gallery as well as the Pitti Palace and Boboli Gardens, other famous cultural sites in Florence.